The D-Link DIR-825 can be configured as a virtual server so that remote users accessing Web or FTP services via the public IP address can be automatically redirected to local servers in the LAN (Local Area Network). 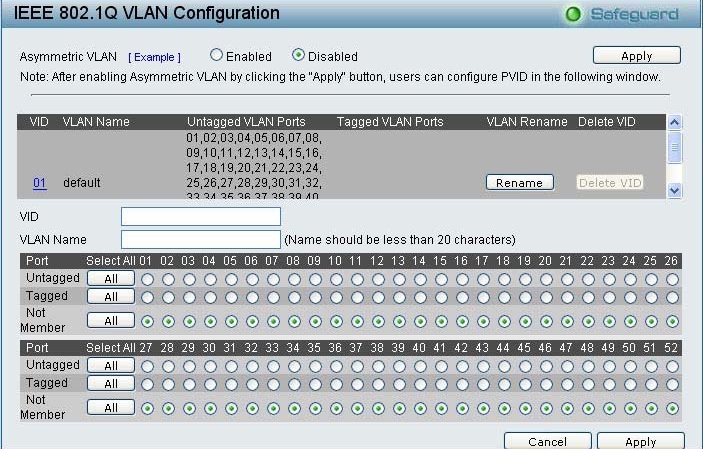 The DIR-825 firewall feature filters out unrecognized packets to protect your LAN network so all computers networked with the DIR-825 are invisible to the outside world. If you wish, you can make some of the LAN computers accessible from the Internet by enabling Virtual Server. Depending on the requested service, the DIR-825 redirects the external service request to the appropriate server within the LAN network. 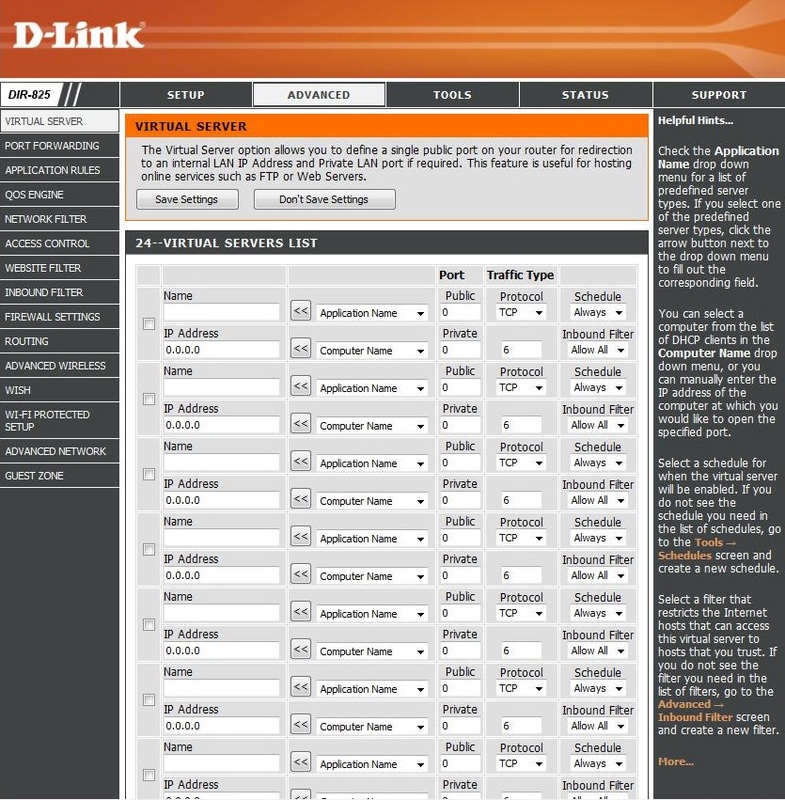 The D-Link DIR-825 is also capable of port-redirection meaning incoming traffic to a particular port may be redirected to a different port on the server computer. Name:Enter a name for the rule or select an application from the drop-down menu. Select an application and click << to populate the fields. IP Address:Enter the IP address of the computer on your local network that you want to allow the incoming service to. If your computer is receiving an IP address automatically from the router (DHCP), you computer will be listed in the “Computer Name” drop-down menu. Select your computer and click <<. Private Port/ Public Port:Enter the port that you want to open next to Private Port and Public Port. The private and public ports are usually the same. The public port is the port seen from the Internet side, and the private port is the port being used by the application on the computer within your local network. Protocol Type:Select TCP, UDP, or Both from the drop-down menu. Schedule:The schedule of time when the Virtual Server Rule will be enabled. The schedule may be set to Always, which will allow the particular service to always be enabled. You can create your own times in the Tools > Schedules section. Inbound Filter:Select Allow All (most common) or a created Inbound filter. You may create your own inbound filters in the Advanced > Inbound Filter page. 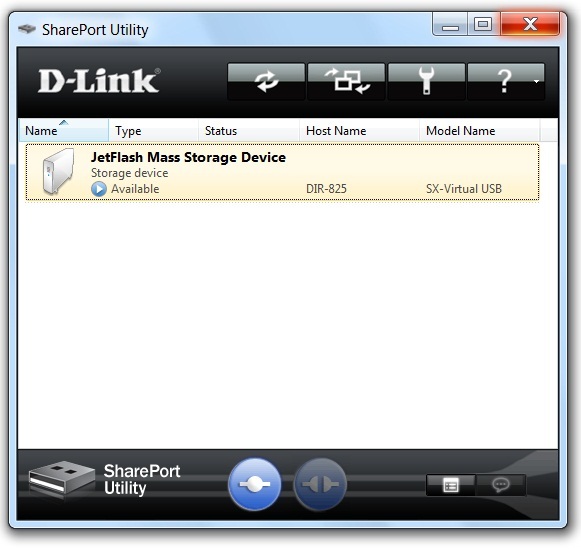 Step 1: You can download the SharePort™ utility for your router at support.dlink.com and navigate to the Application section of the page and download the latest SharePort™ utility. 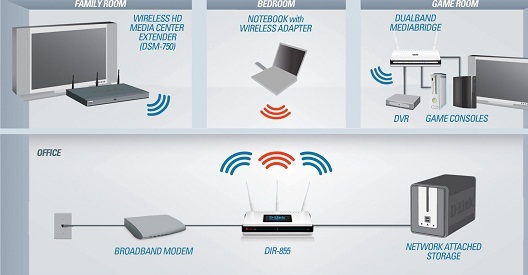 Note: You must have the latest firmware for your router which adds the SharePort™ feature. Step 2: The file you have downloaded is a zip file. You will need to extract the content in that file to a location you can navigate to, such as your Desktop. After extracting the file, navigate to the location you´ve extracted the file to, open the folder and double click on the Setup32 executable file to begin installation. Step 3: An Install Wizard will start. 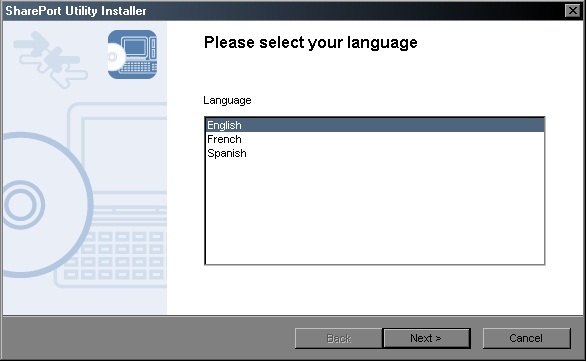 Select your language and Click Next to continue. Step 4: The wizard will then ask you to close any running programs. Click Next to begin. Step 5: The wizard will then ask you where you would like to install the utility. Click Next to continue. Step 6: Select a Start Menu Folder and click Next to continue. Step 7: Click Start to begin installation. Step 8: The wizard will continue to install the utility. Step 10: The utility will detect if you have anything connected to the USB port of the router. Step 11: Connect any external storage device to the USB port of the router. The SharePort™ utility will detect the storage device. Step 12: Click Connect the USB device icon to connect to the drive or Disconnect the USB device to disconnect. Step 13: You can open the SharePort™ utility by double-clicking the USB icon located in the system tray of the bottom right-hand corner where the time is. You should now be able to view content in your storage device. Choose PPTP (Point-to-Point-Tunneling Protocol ) if your ISP uses a PPTP connection. Your ISP will provide you with a username and password. This option is typically used for DSL services. 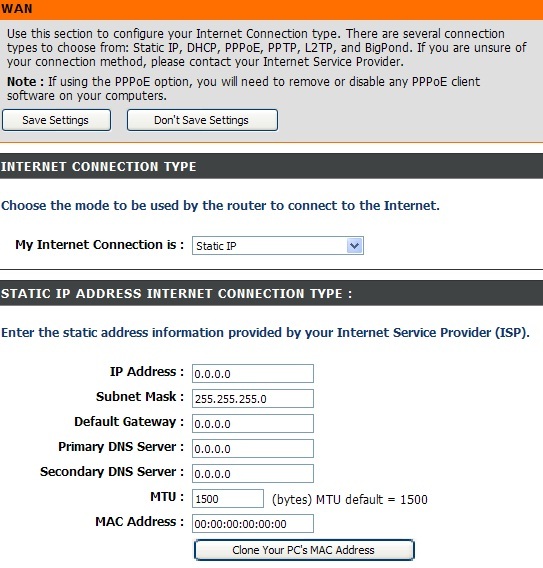 Address Mode:Select Static if your ISP assigned you the IP address, subnet mask, gateway, and DNS server addresses. In most cases, select Dynamic. PPTP IP Address:Enter the IP address (Static PPTP only). PPTP Subnet Mask:Enter the Primary and Secondary DNS Server Addresses (Static PPTP only). PPTP Gateway:Enter the Gateway IP Address provided by your ISP. PPTP Server IP:Enter the Server IP provided by your ISP (optional). Password:Enter your PPTP password and then retype the password in the next box. Reconnect Mode:Select either Always-on, On-Demand, or Manual. Maximum Idle Time:Enter a maximum idle time during which the Internet connection is maintained during inactivity. To disable this feature, enable Auto-reconnect. MTU:Maximum Transmission Unit – you may need to change the MTU for optimal performance with your specific ISP. 1400 is the default MTU. MAC Address:The default MAC Address is set to the Internet port’s physical interface MAC address on the Broadband Router. It is not recommended that you change the default MAC address unless required by your ISP. You can use the Clone Your PC’s MAC Address button to replace the Internet port’s MAC address with the MAC address of your Ethernet card. Choose L2TP (Layer 2 Tunneling Protocol) if your ISP uses a L2TP connection. Your ISP will provide you with a username and password. This option is typically used for DSL services. 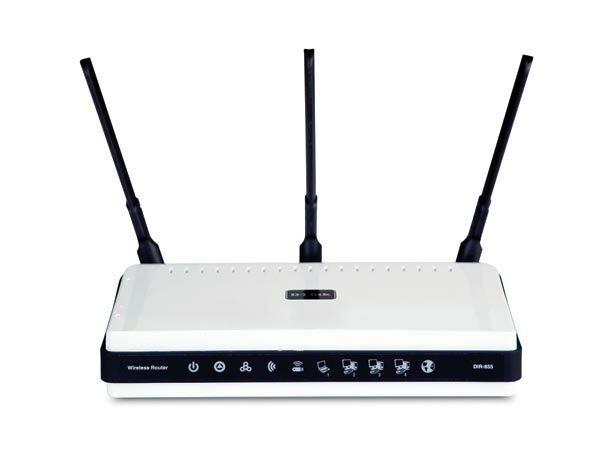 L2TP IP Address:Enter the L2TP IP address supplied by your ISP (Static only). L2TP Subnet Mask:Enter the Subnet Mask supplied by your ISP (Static only). 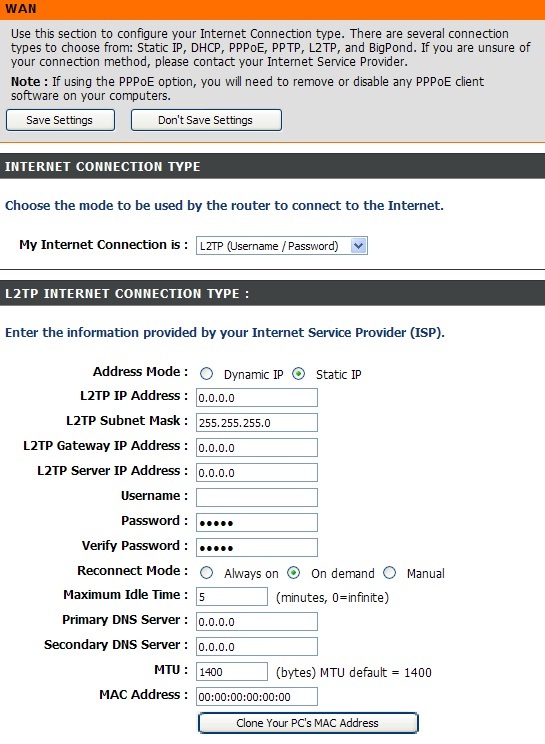 L2TP Gateway:Enter the Gateway IP Address provided by your ISP. L2TP Server IP:Enter the Server IP provided by your ISP (optional). Password:Enter your L2TP password and then retype the password in the next box. DNS Servers:Enter the Primary and Secondary DNS Server Addresses (Static L2TP only). Clone MAC Address:The default MAC Address is set to the Internet port’s physical interface MAC address on the Broadband Router. It is not recommended that you change the default MAC address unless required by your ISP. You can use the Clone Your PC’s MAC Address button to replace the Internet port’s MAC address with the MAC address of your Ethernet card. 1. Place the router in an open and central location. Do not plug the power adapter into the router. 2. Turn the power off on your modem. If there is no on/off switch, then unplug the modem’s power adapter. Shut down your computer. 3. Unplug the Ethernet cable (that connects your computer to your modem) from your computer and place it into the Internet port on the router. 4. Plug an Ethernet cable into one of the four LAN ports on the router. Plug the other end into the Ethernet port on your computer. 5. Turn on or plug in your modem. Wait for the modem to boot (about 30 seconds). 6. Plug the power adapter to the router and connect to an outlet or power strip. Wait about 30 seconds for the router to boot. 7. Turn on your computer. 8. Refer to page 13 to configure your router. DHCP address from your other router. 2. Open a web browser and enter http://www.dlink.cc and press Enter. When the login window appears, set the user name to Admin and leave the password box empty. Click Log In to continue.